Fox can’t seem to keep their J.J. Abrams shows alive for more than one season. In 2012, Fox had Abrams’ Alcatraz, and cancelled it after one season, and they’ve just followed that up by cancelling Almost Human. Why was it cancelled though? It seems to be a complicated number of reasons. 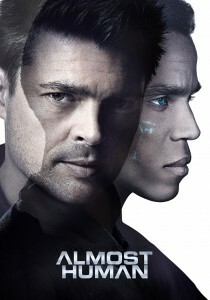 According to Deadline Hollywood, Almost Human had a bit of a sluggish start in November. It held enough ground to earn renewal consideration, because it often finished on par with The Following, a show that also aired on Monday and which has already been renewed for next year. Almost Human‘s season finale (and now series finale) logged a 1.5 rating in 18-49. This matches the live and same date rating for the finale of The Following. However, The Following apparently has a larger DVR draw than Almost Human. The odds of Almost Human getting a renewal pick-up started to slide as Fox’s drama pilots started to pick up some steam. With all three considered strong contenders for a series pick-up, Fox seemed ready to go with three new shows, rather than giving the Abrams show a chance to breathe. Fox has the Batman prequel series, Gotham, already picked up for 13 episodes, as well as series called The Red Band Society and Empire. Almost Human was also produced by Warner Bros TV, which also produces The Following and Gotham. Fox, once again, shows they sometimes don’t know what they have. They also cancelled Firefly. Can Almost Human be saved by fans, or is it already too late?